A 97-year-old vegan says she will 'never go back' to eating animals again. 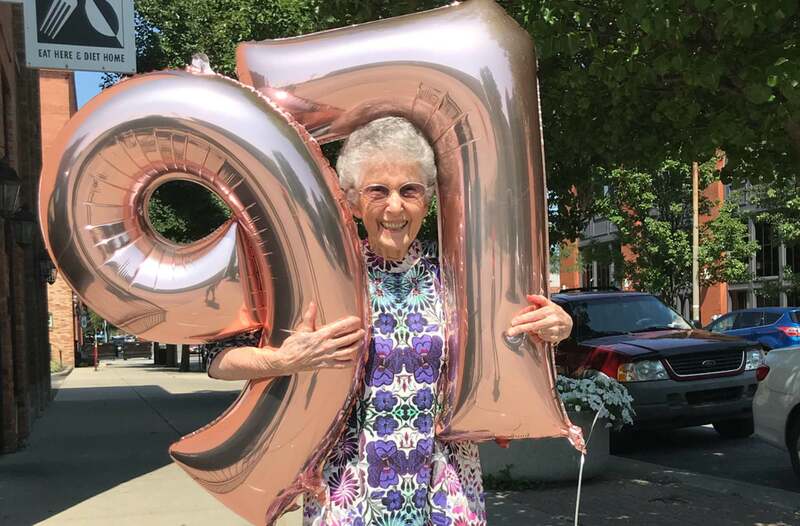 Advocate Anne Evers, who celebrated her 97th birthday earlier this Summer, ditched animal products after watching pro-vegan documentary What the Health. Since then the Ohio resident has gained more than 18,000 Instagram followers, as well as media attention, as she speaks out about her lifestyle, famously saying the only way to protest the treatment of farmed animals is to stop eating them. In a recent interview with The Standard, Evers - who says she feels 'wonderful' as a result of her diet - listed some of the benefits of plant-based eating. "I have more energy, I feel lighter and less inflamed, my skin is more clear and I’m moving around better. I definitely think it's keeping me healthier as I age," she told the paper. She also discussed the environmental and ethical benefits of veganism, talking about the harmful emissions and animal agriculture as well as the social perceptions that make many people love their companion animals but eat others. "I want the future generations to have a healthy planet and after learning about the impact animal agriculture has, I felt it was my duty to adopt a vegan diet and encourage others to as well," she said. Evers often uses her platform on Instagram to promote this message of health: in a recent post she shared a video of herself lifting weights, writing: "I want to redefine what old looks like. "This is 97 friends. Bent over rows, squats, deadlifts. This is what it looks like when you make movement a daily practice and fuel your body with plants. "The human body is an incredible thing and every day is a gift. Make the most of it. Take care of yourself and put the work in NOW so you can not just grow old but feel good and enjoy your life in the process." 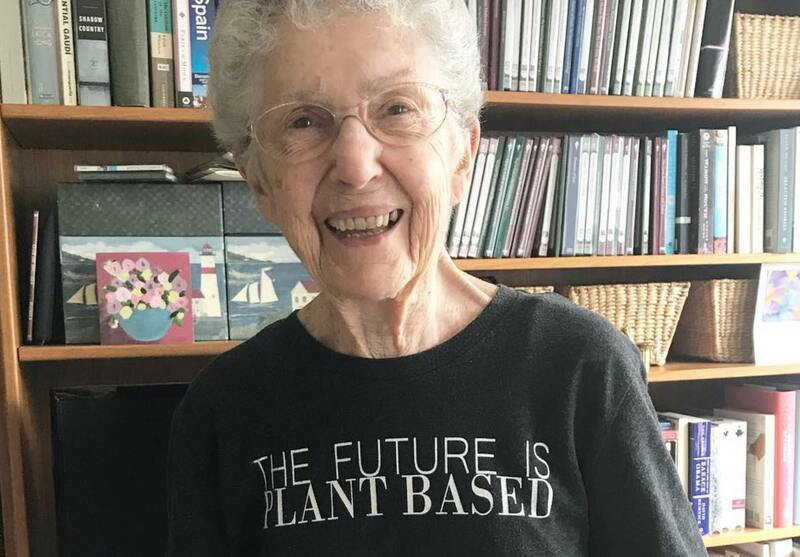 Evers is not the only vegan in her 90s promoting a positive message. Earlier this year, UK-based Roy Budin made headlines when he turned 98. Budin has been vegan for three decades. In a statement sent to Plant Based News, he spoke about his choosing veganism, and what he likes to eat, saying: "I was well into my 60s when I went vegan. It was still considered to be rather an advanced step and a lot of people who were vegetarian couldn't see the point in giving up dairy produce and so on. "It wasn't until factory farming came along and it was that aspect that convinced me that to be honest, you had to go vegan rather than just vegetarian. I keep my food simple. I don’t agree with all this elaborate culinary work. I must say a lot of vegan recipe books don’t turn me on because you find you need a whole range of things you just haven’t go in stock. Why make things complicated?"